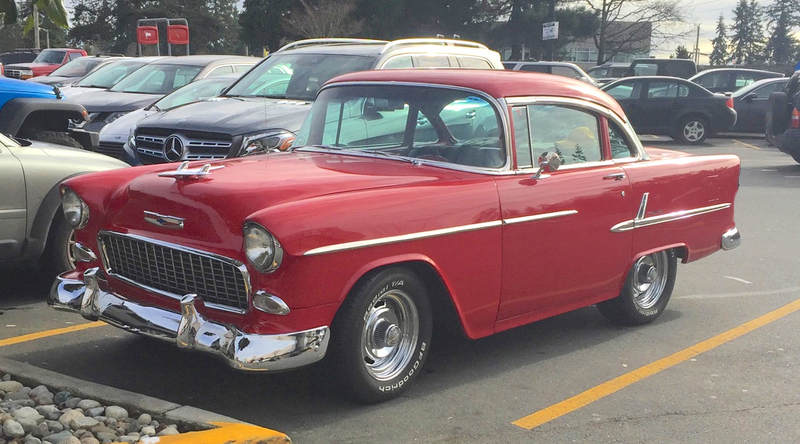 It’s not often you see a shortened 1955 Chevy Two-Ten in the supermarket parking lot, but here’s one now. (Look again if you missed it — the section between the front door and the rear wheel has been removed.) 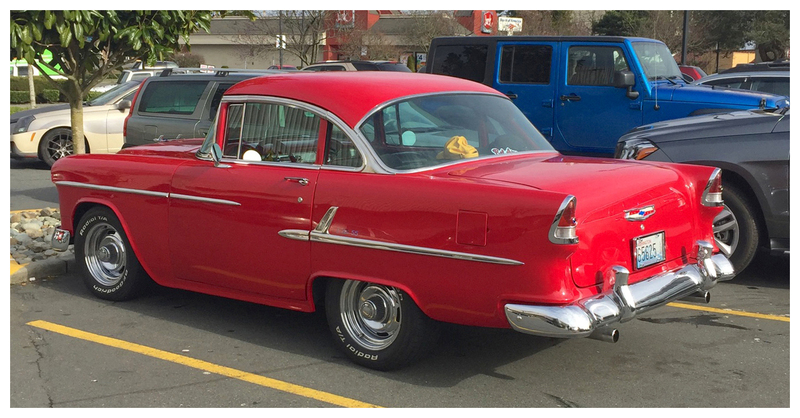 In another addition of FormerWNYersFindingRealRides, my daughter Katie came upon this nicely-done example last week in Seattle. I have to wonder if the owner’s daily driver was in the shop or something, because you don’t often see stuff like this out and about.